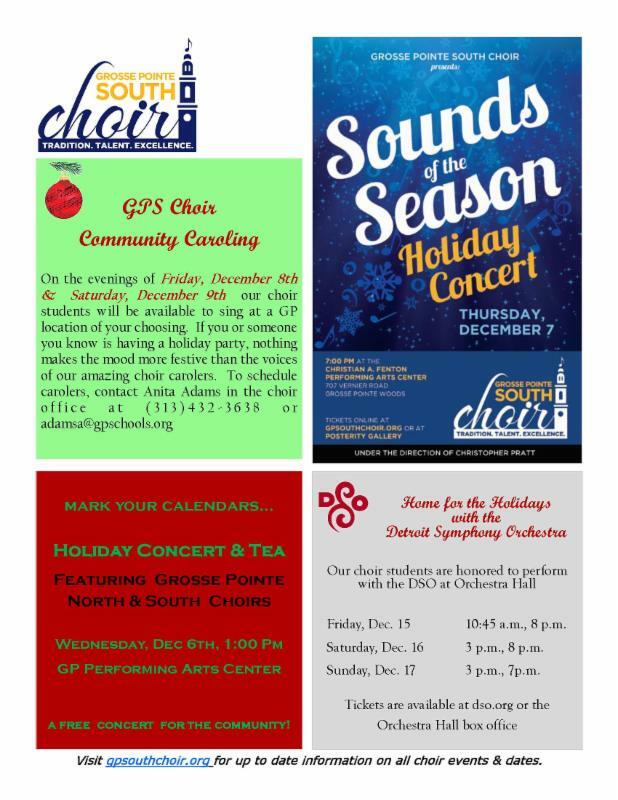 Happy Holidays from all of us at The Grosse Pointe South Mothers’ Club! 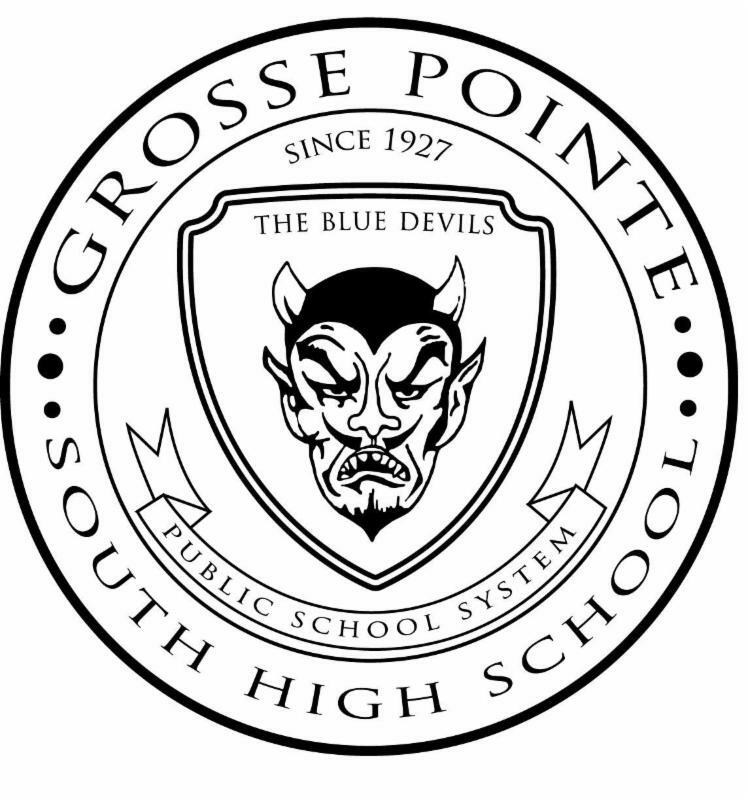 The holiday season started early at Grosse Pointe South with our very fun and successful “Date with the Devil” party in November. Jim and Trish Moritz and their committee fashioned a night of food, drink, music and auction items to satisfy all interests. Their hard work helped to raise funds which will benefit our students. 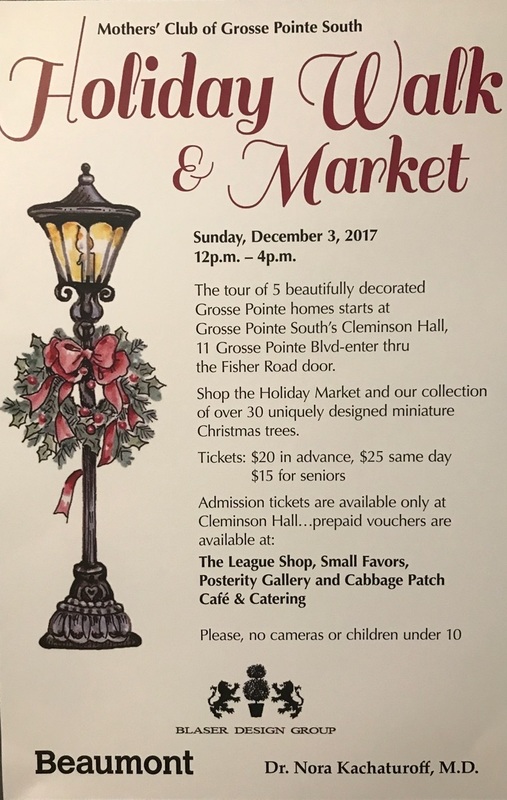 Thanks to Helen Srebernak and Mary Jane Cullen, we were able to tour beautifully decorated homes throughout our community and shop at various vendors at Grosse Pointe South during our Holiday Walk & Market on December 3 rd. Anne Grobel and Mindy Barry orchestrated our annual Holiday Concert & Tea on December 6 th. 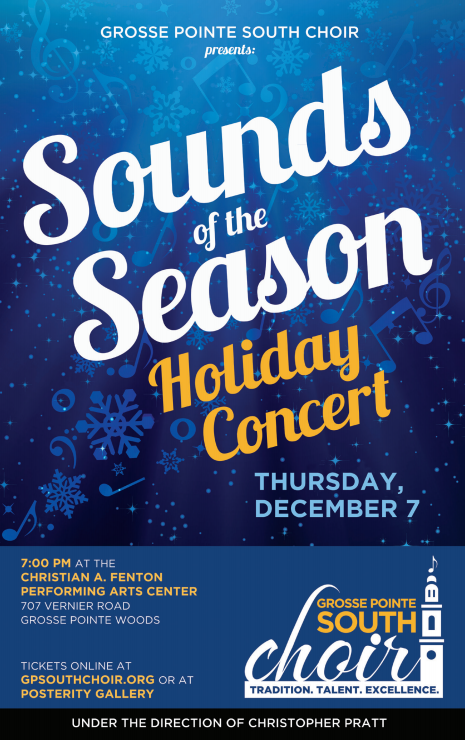 This event features both GP North and GP South Choirs and is free to the public. 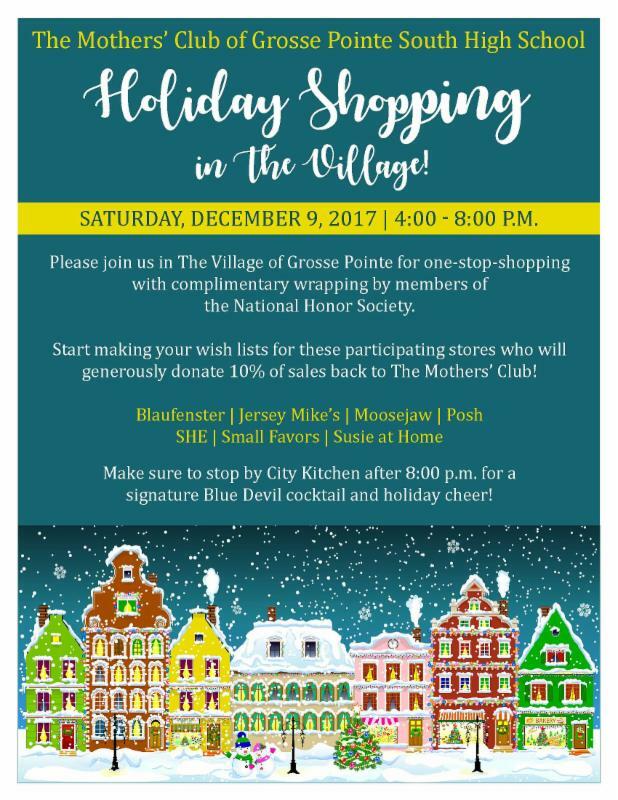 To top off the holiday fun, Susan Stapleton coordinated a “Holiday Shopping Night” in The Village on Saturday, December 9 th from 4-8 p.m. with festivities at City Kitchen after. Cindi Portwood, Heidi Sanders and their committee used their creative talents to turn Cleminson Hall into a festive holiday display which will be enjoyed by the staff during the annual staff luncheon planned by Helen Srebernak. The New Year begins the planning for our Spring Benefit which will be on Thursday, April 26 th. Gaby Boddy and Sara Fischer have some great ideas to continue the success of this fun event. Principal Moussa Hamka will be speaking at our next meeting on Wednesday, January 10 th at 7 p.m. in the Student Commons. Join us to learn what is happening at GP South! We wish you all safe and happy holidays! Click for ticket order form! As college admissions are trickling in for the early birds, many students (especially in the arts communities) are just getting their college applications sent out. Other students may still be unsure about where to apply or what steps to take next. Remember that we are always happy to help! Just send your student in to see us and we will be more than happy to sit down and talk post-high school options. As we move into the second semester, we begin to shift our senior focus from admissions to financing college. We strongly encourage parents to apply for federal student aid via FAFSA . Some schools may require the CSS Financial Aid Profile . Parents can only apply for the FAFSA online . FAFSA worksheets are available online to print in PDF form to prepare. In order to apply for financial aid you must go online to http://www.fafsa.ed.gov/ Step one is to apply for your financial aid ID (FSA ID) now at the website. Once you get your FSA ID, you will be able to fill out the application immediately. If you are not sure that the FAFSA will be fruitful, we recommend that you complete it anyway as an opportunity to trigger institutional aid offers that you may not otherwise receive. Colleges will start awarding money as soon as they receive your information from the federal processing center, so don’t delay. Some schools may require the CSS Financial Profile. Click here to see the list of schools on the profile. If you are in doubt as to whether or not to apply for aid…apply. Students will need their social security number. Secure the necessary forms. Check which form is needed by each college. Always read the entire form carefully. Download (or pick up from counseling center) the FAFSA Worksheets and use as a rough draft. Double check that proper code numbers are used. PROOF READ! Keep a copy of everything you send (electronically or via mail). Do not send a copy of your taxes with the FAFSA or Profile, colleges will ask you to submit them directly to them if they are required. Investigate possible outside sources of aid. Read carefully any responses you get and respond. Call the college’s financial aid office for help with forms or problems. Do not get distracted by frauds that guarantee aid in return for an enrollment fee. Plan to attend the Financial Aid Night at South on January 31 @ 7:00 in South’s auditorium. We are so fortunate to have the Financial Aid Outreach Coordinator form Oakland University to share his expertise. This will be approximately one-hour presentation focusing primarily on the FAFSA. Junior Meetings! Each year we attempt to meet individually with each Junior (and parents if they would like to join us) to have an in-depth, personalized discussion about college searching, applying, and financing. In efforts to meet with more students, we have moved these meetings up from Spring to Winter. So make your appointments now! We are anxious to get started. Students should register now for the ACT and/or SAT tests that will be given in the second semester. Keep in mind dates for AP testing and final exams. Remember, that your child will take a free SAT at South in April as a part of the state tests. This score is official and may be used for college applications. Taking an April or June ACT is a great idea since students will have addressed the entire Algebra II math curriculum required for the test. You can go directly to the testing companies’ websites ( www.actstudent.org and www.collegeboard.org ) to register and to obtain more information about the tests. We recommend that you register early to secure a spot at your preferred testing center. Please pay attention to deadlines; there are financial penalties for late registration. 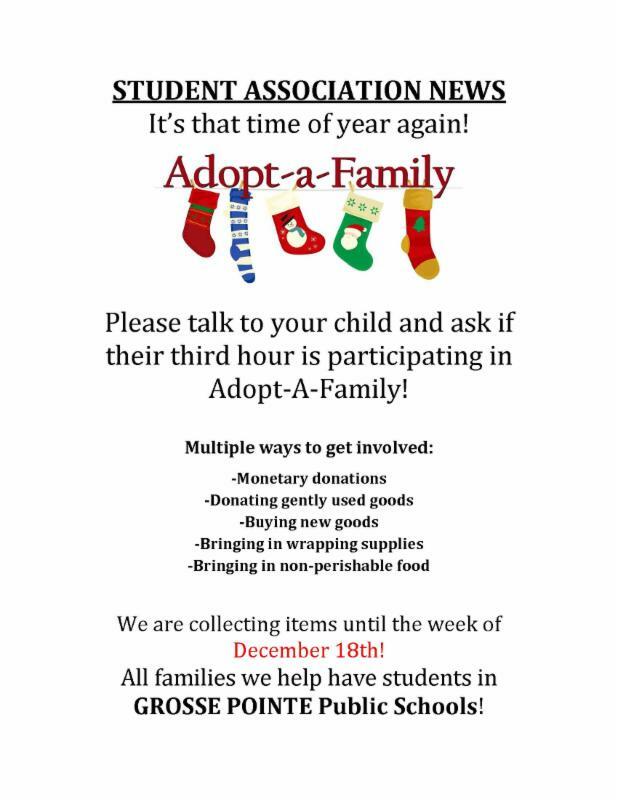 When you register, you will need to use the Grosse Pointe South school code: 231-802. This holiday season you may find yourself loading up the family car for places near and far to visit and vacation. Consider taking a detour to a convenient college on the way and doing a short tour. This is a great opportunity for students to be exposed to some new options that they may never have thought about for college. It can be so valuable to get a sense of priorities and possibilities for College. Even if the student dislikes their visit that is time well spent because they can continue to hone their wish list for the perfect college match. If you don’t have any travel plans consider taking a “Gas Tank Tour” to a few local colleges. At this point it is all about exposure to develop that sense of desire and motivation for next steps in education! Peace and Joy to you and your family this holiday season! Although it was a balmy 60 degree day, the holiday decorations went up and Cleminson Hall looks beautiful with the new windows almost finished and the lights sparkling. The theme of this historic room and the tree is a multi-cultural one, celebrating many people and traditions of the world. Cleminson will be the first stop on the Holiday House Tour on Sunday, Dec 3. Stop by and take a peek! Many thanks to those that gave their time to help: Mindy Barry, Kelly Moran, Nayan Spangler, Ann-Marie Smihal, Dana Saxon, Kristi Kline, Helen Srebernak, Joe Srebernak, Gail Micuida, and Cindy Sommerville. This annual event is Wednesday, December 6th at 1 p.m. (doors open at 11:30 a.m.). 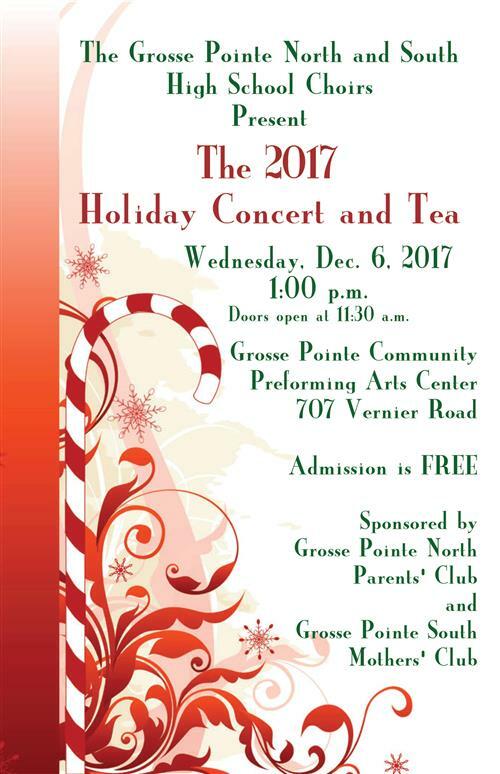 Come hear the Grosse Pointe South and North Choirs perform at the Performing Arts Center (at Grosse Pointe North). Thank you for your continued support of the Mothers' Club. It is through your support that we are able to continue to enrich the classroom and academic environment of our students. Tuesday – Friday: 10:30 a.m. – 12:30 p.m.
All school store profits are returned to the students through the Mothers’ Club support of enrichment, scholarship, and preservation. 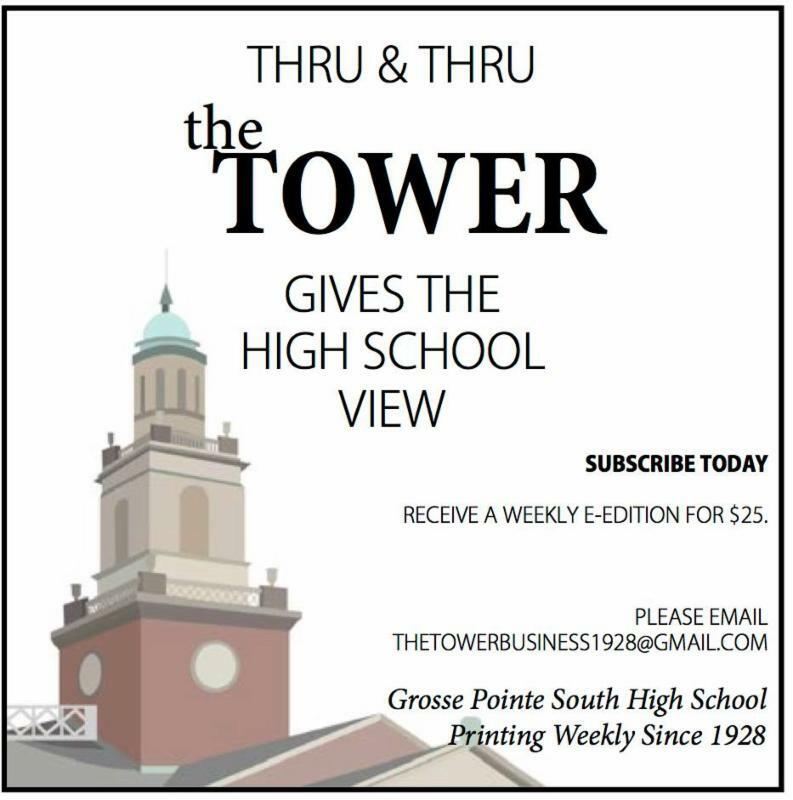 Click here for more about the school store. Online Spirit Wear Shop just in time for the holidays! Mothers’ Club Elves will be out delivering. Delivery area limited to the Grosse Pointes. SENIOR ALL NIGHT GRADUATION PARTY! 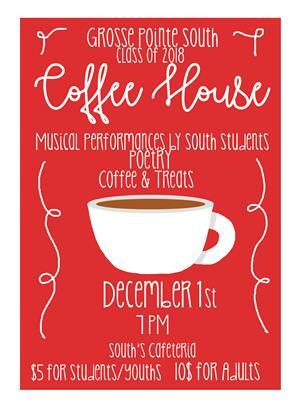 The All-Night Graduation Party will be held at South on June 7, 2018, from 10:30 p.m. until 6 a.m. the next morning. The party is a chaperoned, alcohol-free and drug-free event intended to provide graduates a safe, fun environment to celebrate with their classmates. More than 300 kids have already registered in advance. Don’t be left out! Our goal is 100 percent participation. Tickets are $65 until Dec. 31 (then $70) and are still available on the school registration site, or by sending a check to South, c/o Mothers Club. Volunteers to work a few hours overnight serving food, providing security, dealing blackjack, etc. As we wrap up 2017, the students would like to thank you for supporting the Class of 2019. We are in need of five gardens for the second annual OneGP Garden Tour scheduled for June 16, 2018 and need your assistance. If YOU and/or SOMEONE YOU KNOW have a beautiful or unique garden, PLEASE consider participating in this wonderful school-sponsored community event. On behalf of the students of the Class of 2019, we wish you a happy and restful holiday season. Jack B., Amy E., Sarah B., and Allison F.
Please contact Marianne Modlin at modlinm@gpschools.org if you or anyone you know would like to show your garden in our event in June 2018. Special thanks to all the parents that helped make Homecoming 2017 a success. Thank you for your donations of food, water, chaperones, supplies, time and talents. to the Class of 2020 at the White, Gold, and Blue levels. Thank you! Please click for additional information!. The Freshmen Class is looking forward to a great year and their new class council! in room 180 of the S Building (Ms. Karalis’s room). All students are welcomed even if they are not an elected officer.